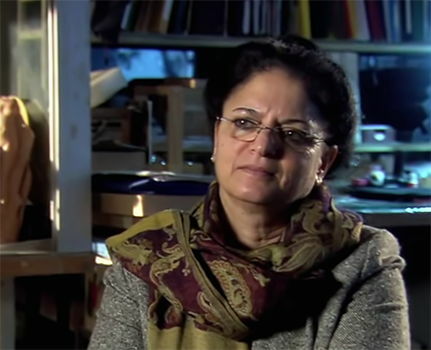 The female figurine from Berekhat Ram, in Israel. It is the oldest known figurative carving in the world, and is somewhere between 233 000 and 800 000 years old, older than Neanderthal man, and probably carved by Homo Erectus. The date is between these values because it has been found between two layers of volcanics, the upper one is about 230 000 years old, and the lower one approximates 800 000 years old. 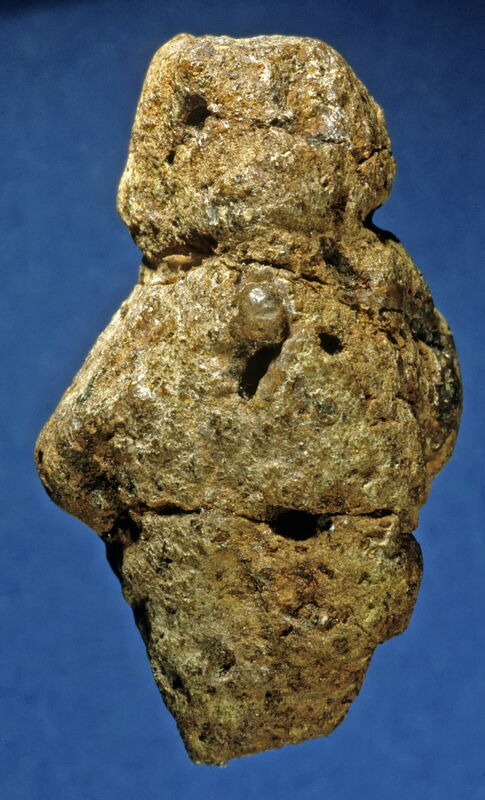 The figurine itself is estimated to be approximately 250 000 - 280 000 years old, based on the stratigraphy. Its dimensions are 35 mm high, 25 mm wide, and 21 mm thick, and weighs 10.33 g.
The original pebble bore a resemblance to a female, and this was enhanced by the carver, who cut grooves around the neck and along its arms. 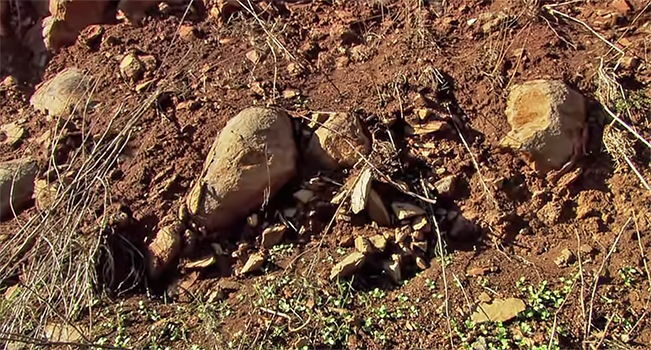 Microscopic analysis by Alexander Marshack has now made it clear that humans were responsible. It is carved into a piece of tuff, which is formed when volcanic ash settles on the landscape and is hot enough to weld together into a light, porous rock, often like pumice stone, which is tuff formed on the surface of the ocean. The lake of Berekhat Ram fills a caldera which cuts the Pleistocene basalt flows that cover the Golan Heights1 in Israel. In the north-west wall of the crater a sequence of two basalt flows is exposed separated by a reddish-brown palaeosol complex ~ 2 m thick. Scattered through this palaeosol, and also found in prominent concentration in one layer near the base, are lithic artefacts of an Upper Acheulian industry. We have now obtained a 40Ar/39Ar date of 233 000 ± 3 000 BP for the overlying flow, while the underlying flow does not give a well-defined plateau during step heating, but gives a range of apparent ages from 290 000 BP to 780 000 BP, with an integrated age of 470 000 BP. Another version of the Berekhat Ram Venus, shown from the left. Another version of the Berekhat Ram Venus, from the front. 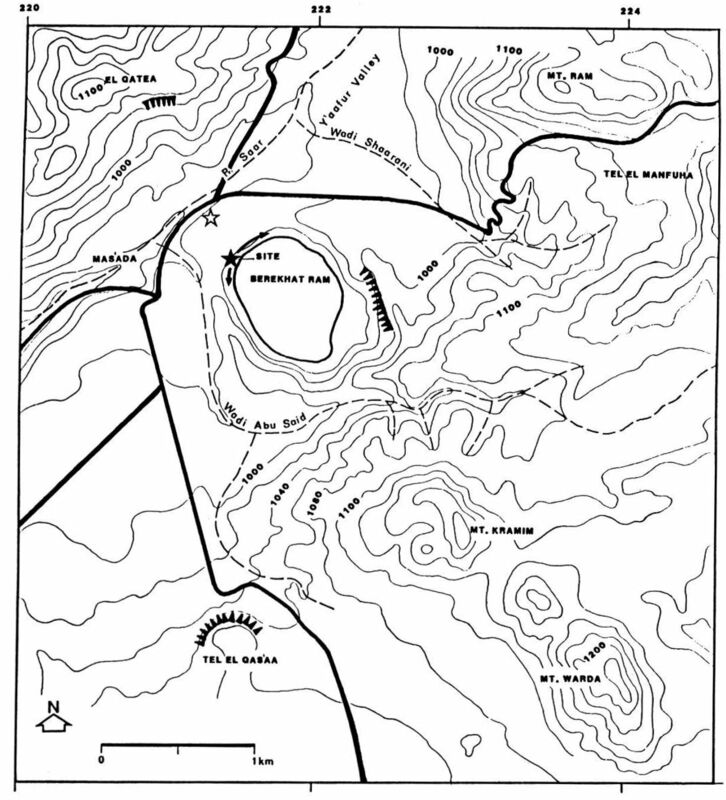 The Acheulian site of Berekhat Ram is located on the western flank of the Berekhat Ram crater lake in the northernmost part of the Golan Heights. The general region is a Pleistocene volcanic plateau composed of a varied series of basalt flows, cinder cones and other tephra rock materials. There are several cinder cones in the vicinity of the lake. The Berekhat Ram crater lake is 885 m long and 630 m wide. The centre of the crater is 950 m above sea level, and is surrounded by rims rising up to 70 m above the level of the water in the lake. 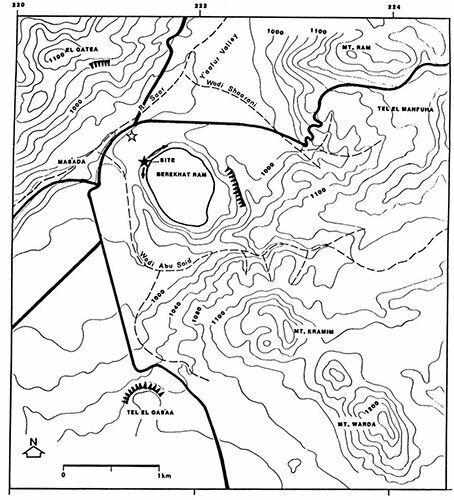 The area of the crater, including the rims and other flanks, is about 0.8 sq. km. Professor Naama Goren-Inbar, Hebrew University of Jerusalem, discoverer of the figurine. At the dig, a volunteer from England came up to her with a brown paper bag on which he had written 'venus', and asked her if she thought that the little object within the bag was a figurine. She was delighted to confirm his interpretation. The text and photos below are adapted from the important paper, D'Errico et al. (2000), except where otherwise noted. Several views of the venus. 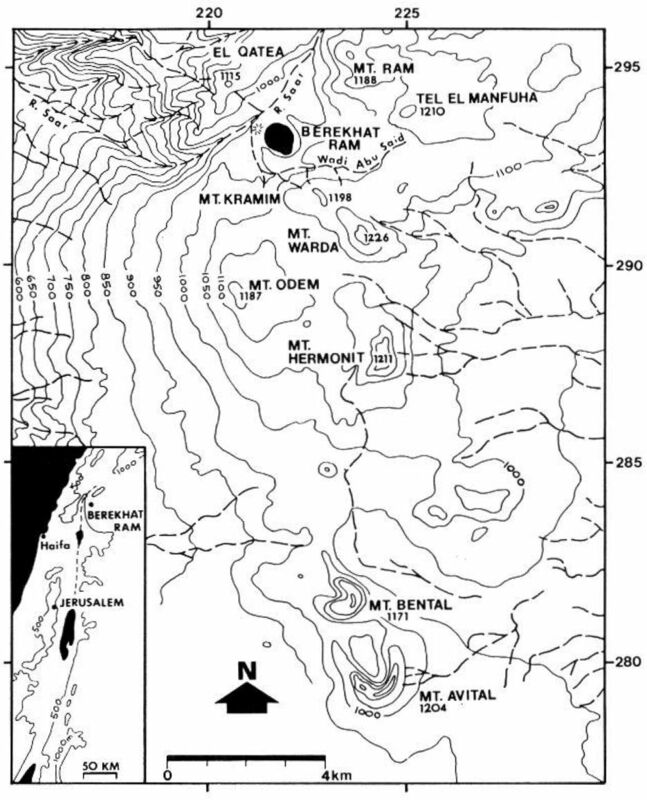 The Berekhat Ram site, in the Golan Heights region of Israel, excavated by Goren-Inbar in 1981 and 1982, is on the edge of the crater of an extinct volcano which is now partially filled by a natural lake. 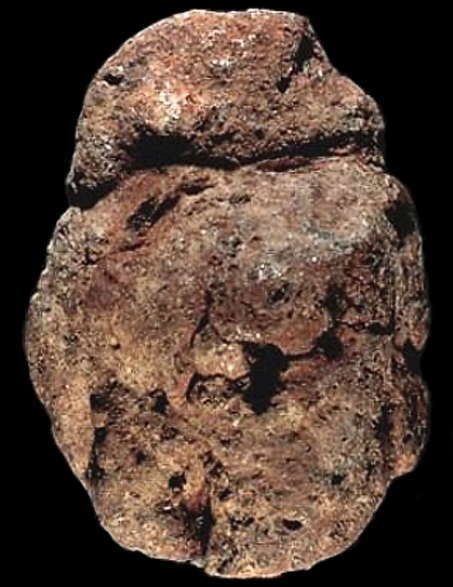 The figurine, in association with Acheulean tools, derives from an archaeological horizon, 25 cm thick, lying within a 1 m colluvial/ alluvial unit which is sandwiched between two basalt flows, known as the Lower and Upper Kramim basalts. Section of site exposed showing the Upper Kramim basalt and the colluvial/alluvial unit containing the archaeological layer (arrows). 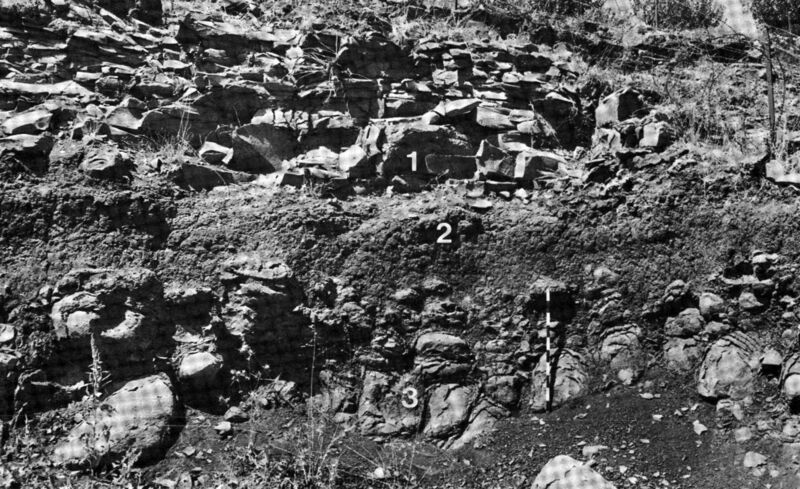 These basaltic layers have been dated to 470 000 BP and 233 000 BP respectively. The archaeological layer where the figurine was found is estimated to date to approximately 250 000 - 280 000 BP. 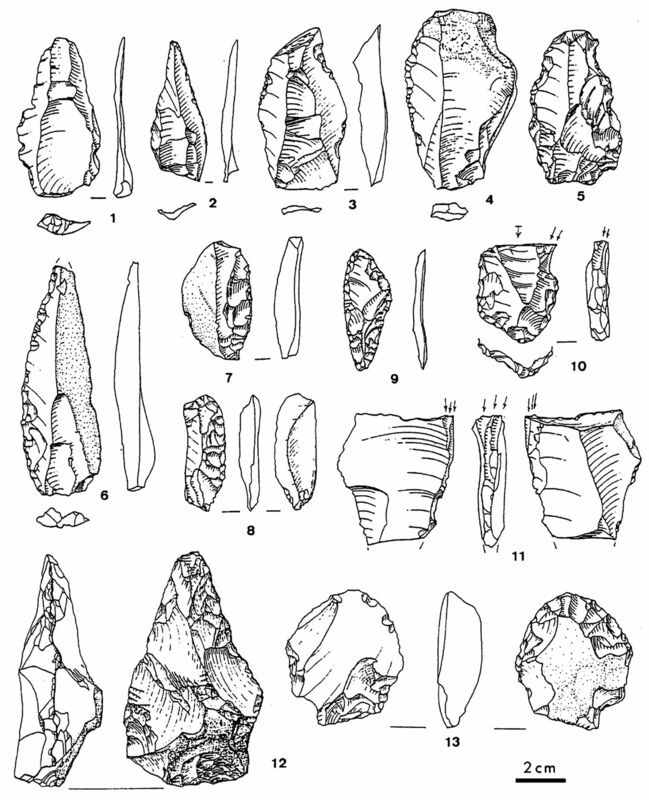 The lithic industry at Berekhat Ram, described as Acheulean, is somewhat unusual in that Upper Palaeolithic types (burins, borers, endscrapers) comprise 20.6 per cent of the assemblage. It is also rich in Levallois flakes, sidescrapers, notches and denticulates. Levallois cores represent the most common core type. The eight bifaces found at the site are all of a small size (less than 11 cm). With the exception of one biface manufactured from basalt, all artefacts are made from local flint. 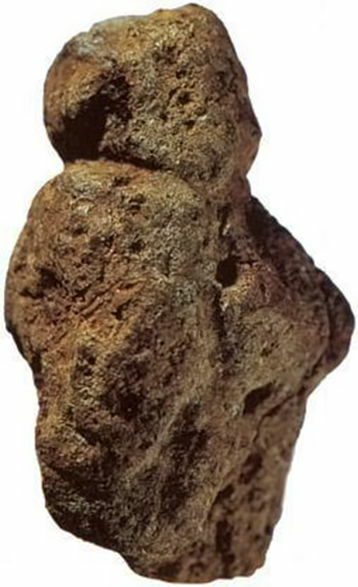 According to Goren-Inbar (1986), hominids selected a scoria pebble that bore natural features resembling a female figure. The view today from the site of Berekhat Ram. Berekhat Ram means 'High Pool'. It is a crater lake (maar) in the northeastern Golan Heights, near Mount Hermon. The only sources of water for the lake are rain water and an underground spring. The water does has no exit from the lake. It is 35 mm in length, 25 mm in width and 21 mm in thickness. 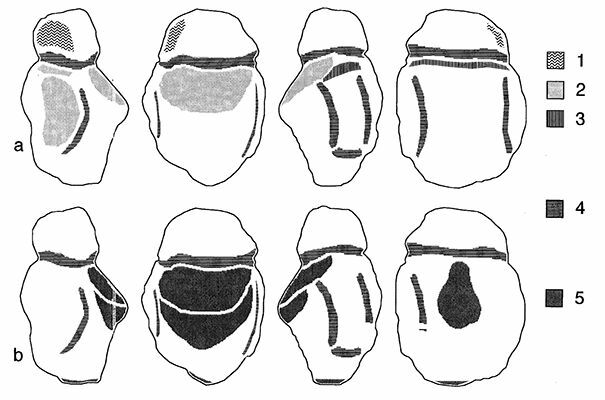 The tuff was then modified to enhance these natural features by carving one deep groove around the fragment at the upper third of the piece to delineate a neck and head. Two shallow, curved grooves were engraved to create the arms of the figurine. 5: possible abrasion. From left to right: right side, front face, left side, rear face. The figurine possesses a number of features that are reminiscent of those produced experimentally by the engraving or abrading the tuff clasts. Intentional engraving seems responsible for the neck groove and the two slightly curved grooves on both sides of the object. A short groove produced by engraving has also been carved on the left side of the rear face. This interpretation is supported by the clear morphological differences, visible at a microscopic scale, between the surface of these grooves and those of the adjacent area. The morphological variability of the groove cross section, however, suggests the use of a point as the tool used, instead of a cutting edge. Feraud, G., York, D., Hall, C., Goren, N., Scgwarcz, H., 1983: 40Ar/39Ar age limit for an Acheulian site in Israel, Nature, 304, 263 - 265 (21 July 1983); doi:10.1038/304263a0. 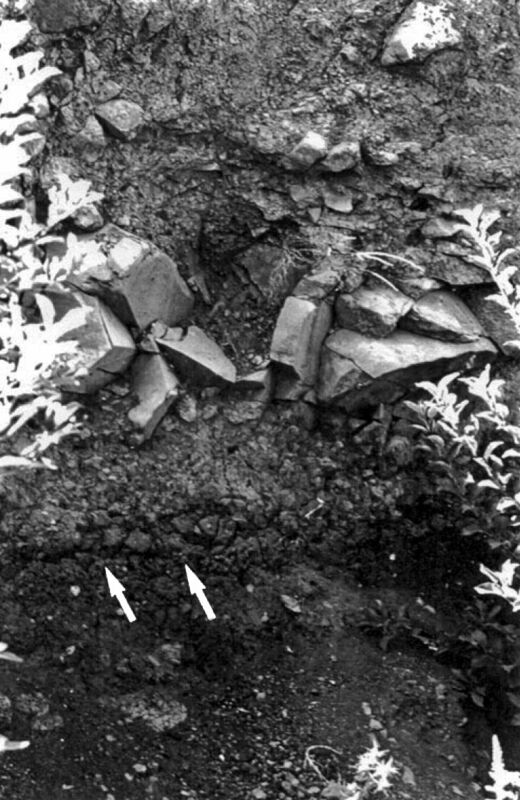 Goren-Inbar, N., 1985: The lithic assemblages of Berekhat Ram Acheulean site, Golan Heights, Paléorient, 11, 7 – 28. Goren-Inbar, N., 1986: A figurine from the Acheulean site of Berekhat Ram, Mitekufat Haeven, 19, 7 - 12. Marshack, A., 1997a: The Berekhat Ram figurine: a late Acheulean carving from the Middle East, Antiquity, 71, 327–37. Marshack, A., 1997b: Palaeolithic image making and symboling in Europe and the Middle East: a comparative view, Beyond Art: Pleistocene Image and Symbol, eds. M. Conkey, O. Soffer, D. Stratmann & eds. M. Conkey, O. Soffer, D. Stratmann & N.G. Jablonski. San Francisco (CA): California Academy of Sciences, 53–91.